You must make reservations at least 5 minutes in advance of the time at American Harvest Restaurant. Well-lit parking located in the Schoolcraft College North parking lot, closest to the intersection of Haggerty and Seven Mile Road. The restaurant is located inside Schoolcraft College's VisTaTech Center. Savor a gourmet lunch prepared and served in Schoolcraft College's student-operated restaurant. 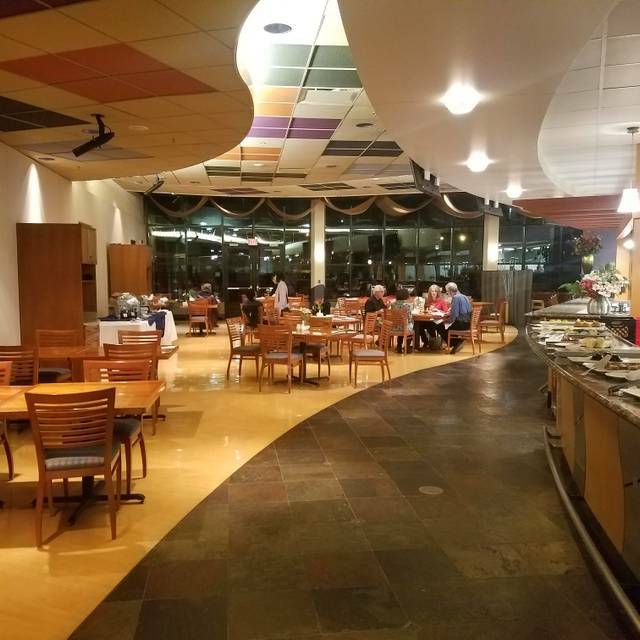 The menu, which changes daily, features freshly baked breads, soup, salad, a choice of entree, and a selection from the tempting dessert table. All items on the menu are a la carte. Students work under the direction of an award-winning Certified Master Chef. For dinner, enjoy an extravagant buffet in a beautiful setting at a reasonable price. Please join second-year students in the International and American Cuisine class, under the direction of a Certified Master Chef, as they prepare International favorites. Themes change weekly and include American, European, Latin & South American, and Asian. A wonderful place for a wonderful meal. I have wanted to have dinner here for years and I finally got around to it. I don't know why I waited so long! It was an absolutely delightful experience. The entrees were delicious and there are no words to describe the choices of mouth-watering desserts. The cauliflower soup was superb, I give it 5 stars. Would love to have the recipe. We had the Skate for the main dish. We love Skate on the bone and as a result, the way it was prepared was disappointing. The flavor was fine but it was difficult to find the fish. Skate on the bone is an aesthetic treat. 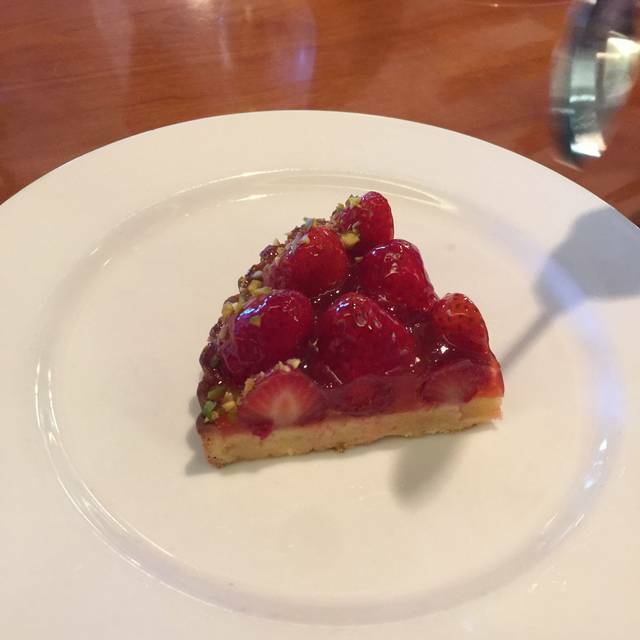 Our desserts were the most disappointing; I had the apricot tart which was 3 of 5 stars , reasonably enjoyable. The others had a fruit topped cake like thing which looked fabulous but whose flavors and textures were disappointing. I would say 5 for appearance but 2 for flavor. This is a restaurant run by the students of Schoolcraft's culinary school and the food is really excellent and very flavorful in its design, beautifully presented, suitable for a high end establishment. The wait staff is friendly and polite though perhaps a bit slow but they are learning. The price is really low for the quality and of course you are supporting students at the same time. My partner really enjoyed the table prepared Bananas Foster and she is a connoisseur of that dish. As usual this is such a special place to eat. 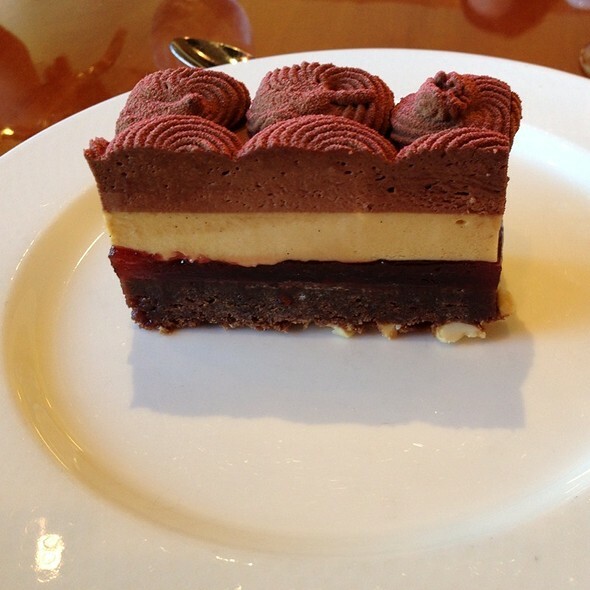 The food is always different and delicious, and the dessert bar is to die for. And you absolutely cannot best the value of this gourmet meal for a very reasonable price. Thank you for a most enjoyable experience. 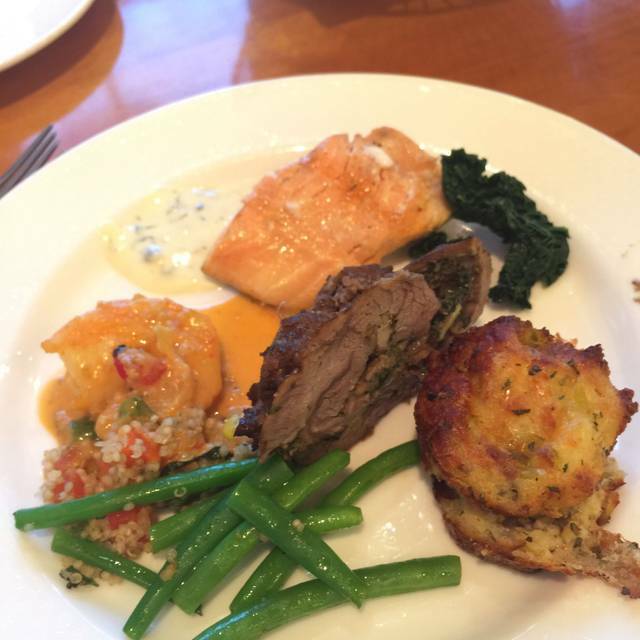 The food was delicious and intriguing to try new flavors. The desserts were beautiful to look at as well as enjoyable to eat. Our waiter was attentive and knowledgeable. Looking forward to another experience soon and hoping to share the experience with other family members. People need to realize this is a teaching environment. The couple next to us just bitched about everything. Obviously they don’t get out much. As an example she asked about how long it would take to get coffee,never ordered it,then asked the waitress why she didn’t bring it. Delicious fancy food served by students at a very reasonable price. Very high quality experience and the desserts are amazing! Overall food selection and service were great! The food is as good if not better than any Michelin starred restaurant and at a much lower cost. I can't wait to return. Our desserts were especially delicious. We loved the Key Lime Pie! Some of the food was a little dried out but excellent mani mahi, salads so fresh and different and desserts off the charts. Desserts a!one are worth the price. We had a wonderful time. The food was well prepared and beautifully presented. We will dine here again. Best food, best everything in dining. We had the best luncheon to date. The dishes were excellent. The desserts were delectable. Great array of main courses , sides, and appetizers . There were so many desserts you could spend all night just sampling those ( and as delicious as they all were that’s a serious consideration ). Paired with American Harvest’s All A’s Ale .. my taste buds loved every minute of the evening . Fabulous food at an incredible price point! Wonderful waitstaff and incredible dessert selection. Must try for any foodies in Metro Detroit area. Since the number of salad nor soup wasn't made enough, three of us got them in different timing. But their tastes were very good. 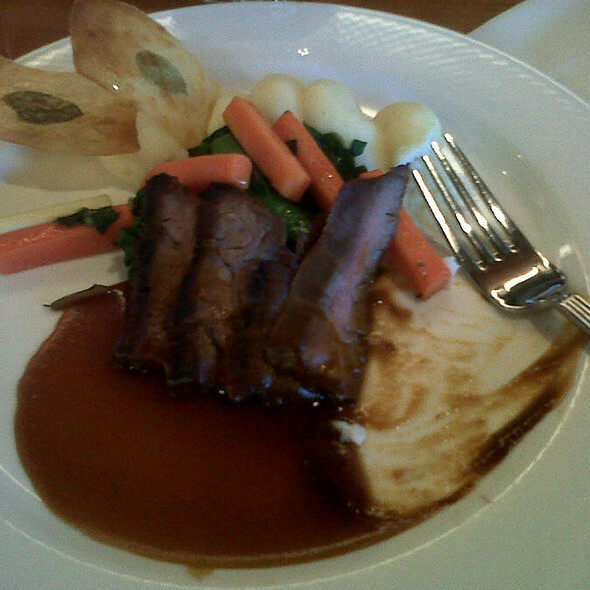 The portion of the entree was rather small, and the amount of side veggies was smaller than expected. But for the price, that was good value. It was our first time and it certainly won’t be the last! The hostess was pleasant and welcoming. Our server Jessica was efficient and friendly! The pork loin was a little dry and not hot enough for me. 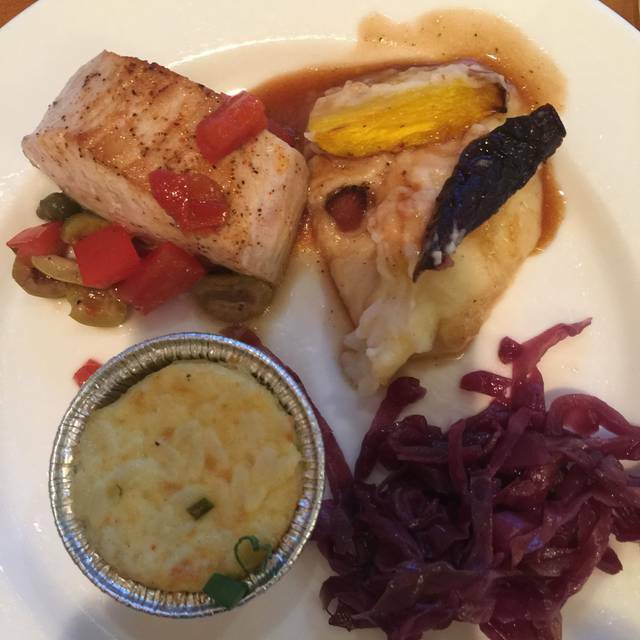 The swordfish meal was outstanding! The dessert selection is terrific! Our walnut torte was good but, needed a little sauce of some kind to give it more zip. Look forward to trying the dinner buffet and breakfast brunch. I have already recommended the restaurant to friends and they are anxious to give it a try! Amazing! 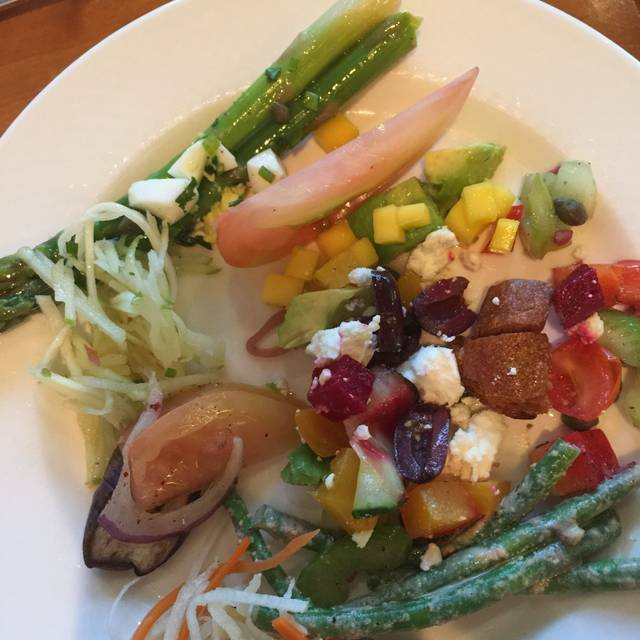 I will continue to dine at American Harvest! I love this place! Excellent choices and the food was delicious. Our sweet waitress was great. Will definitely go again. Thanks! Great lunch at a phenomenal price. A little bit longer wait but if you have patience for the students who are learning the culinary arts then I highly recommend it. Kind of a hidden gem actually. Food was great, soup was warm and tasty, desserts were amazing. I have often taken family, colleagues, and students for either a meeting, a celebration, or just because! I have never been disappointed with the service or the quality of the food. Food was visually pleasing, but needed seasoning. Desserts all looked beautiful, but were a bit bland. Knowing that the restaurant is a classroom, we were not put off by glitches in service & flavor. Don’t go when you’re on a tight schedule. A great place for a nicer than average lunch. Good value for money. We will return. Very nice food and excellent service. Reservation was for Valentine's day. Food was well prepared. Salmon was crispy on the outside and juicy on the inside. Chicken was very flavorful. Vietnamese short ribs was the best plate. Dessert samples were all scrumptious. It seems most people grab their desserts early and bring their plates to their table. We followed suit, but I don't think I will do the same in the future. Later dinners had different desserts that I would have liked to try, if I had any room left in my stomach. There was ample amounts of desserts and all the tables were filled, there is really no need to to grab desserts early. Delicious, unbelievable value for the price. 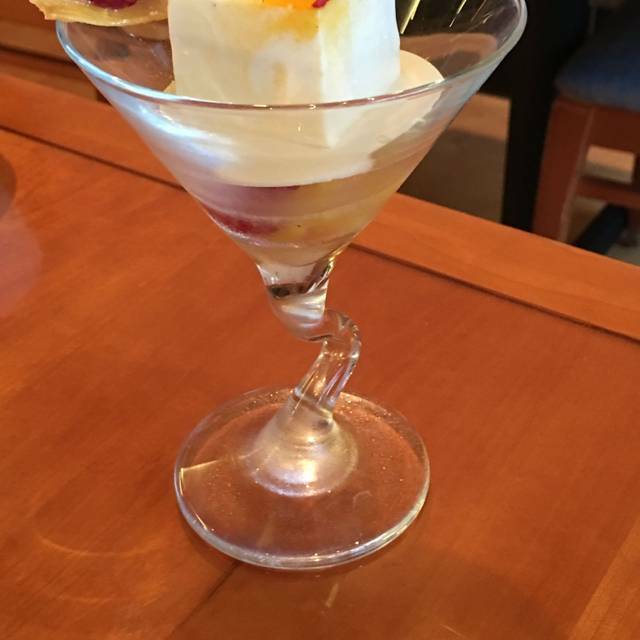 Desserts are 5+ stars. Service can be spotty because waiters are students, but everyone is always apologetic when something goes wrong. I wish they were open more days but it would probably be difficult to do that and still maintain this as a place where everything is prepared and served by faculty & students. I choose this restaurant for birthday party. That’s so nice to eat lunch and hang out with friends. We had a great time there. Serve was always great!! I love the fresh food, the students do a fantastic job of planning and preparing the food. I always enjoy going to American Harvest and experiencing what the students have prepared for the evening. The pastries were amazing, as always. However, I felt as though the quality of ingredients has gone down on the entrée side over the past few years. It used to be much more impressive, with great seafood, lamb, and beef. I think the students are doing an excellent job. They just don't have the ingredients to work with that they used to. I'm not sure if it's worth the price we pay any more. The service is always excellent, though! I have eaten at the Harvest room many times and understand it is a culinary school and students are learning. I therefore allow extra time and patience as I am aware of this. This time I must write about terrible, service and food preparation well below the normal standards. My reservation was lost and had I not had a copy of the confirmation number I would have been turned away. The server was by far the WORST server I have ever encountered, and I have a Great Deal of experience in dining out. Even allowing for a learning curve my server was ill prepared for the job, ridiculously slow, and had an attitude. Although he never said anything, his mannerisms and attitude were overwhelmingly negative, as if the position was below him. It took 22 minutes for him to come to our table and take our order, even though he was servicing the table immediately next to ours. After taking the order, it took almost a half hour to be delivered, and it was lukewarm at best. After the meal when I asked for coffee, after almost 25 minutes I had to search him out and then it tool almost another ten minutes to get the coffee, which was delivered cold. When I had searched him out, he was at the desert bar and I indicated our preferences and asked her bring the with the coffee, and he did not. I had to wait another 15 minutes after getting my cold coffee to receive our deserts, and then he delivered and placed them with an Extreme attitude. Grandson was in the Wait Staff class and was serving Lunch. We had a great time and food was awesome! I ordered the vegetarian meal; the serving was small. I ordered the banana chocolate dessert and it was hearty and good. Also, I ordered the soup and it was flavorful and at a excellent temperature. Excellent as usual. Service was a bit slow, our server had too many tables to take care.